Sell downloads and popular photo products. With our 7 partner labs, there are over 1500 products available to choose from. You choose what prices you want to offer. We only charge the purchasing costs and a small service fee. 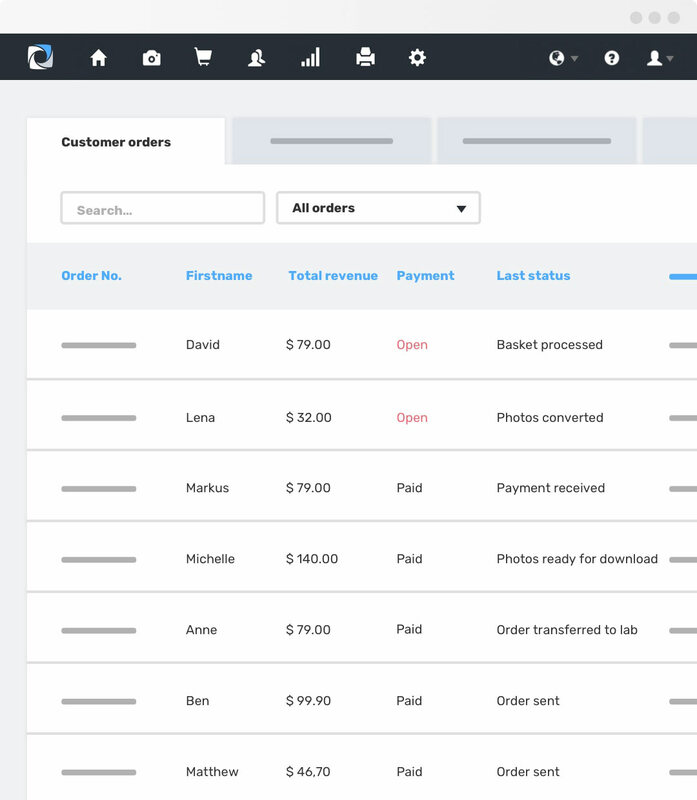 Your customers can pay via Paypal, debit and credit cards. You decide what options to offer – the ball is in your court. We believe that photographers should be able to spend more time behind the lens, not behind a desk. That’s why our workflow is optimized for high-volume jobs with lots of customers – from shooting with QR cards to automatic billing. This means your time spent in the office is cut in half, and you can concentrate fully on your creative ideas. 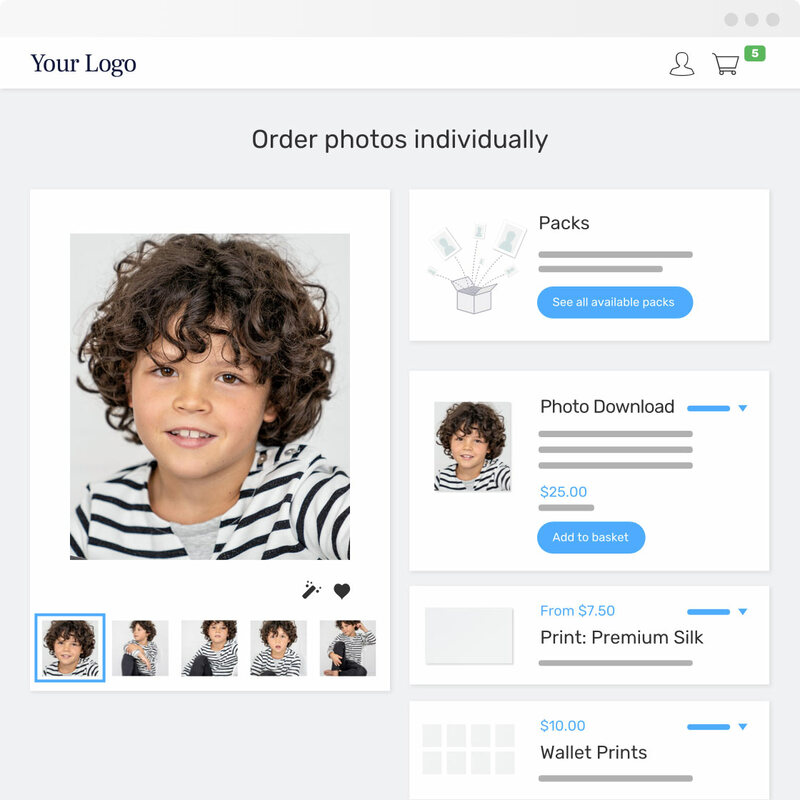 You have the option to outsource your photo selection and editing to GotPhoto. Our professional photo editors optimize the photos to your exact wishes based on reference photos from you. Because you’re not restricted to a photo gallery, you can present more of your photos to parents. As a rule, this creates more sales. All important information and updates are sent automatically via email or text, so nothing gets lost. You can boost your sales even further with vouchers or specialized offers, like holiday sales.